A blackhead is a tiny and dark bump that we frequently observe on the skin, particularly on the face. Blackheads are normal and affect almost every person alive. These bumps are caused by clogged hair follicles and are referred to as blackheads because of their dark surface. Blackheads are considered as mild acne but they can appear alone, without the presence of a regular acne. They can usually be found on the face, chest, back, arms, and neck. Blackheads, as well as other forms of acne, affects a great fraction of the total world population. It is a very common skin disorder. Even though acne significantly damages a person’s self-esteem, it is nothing to be ashamed about. In this article, we will provide you everything you need to know about blackheads. Blackheads have dark surfaces, hence the name. This makes them quite noticeable on the skin. They’re very slightly elevated but unlike other acne, blackheads are not inflamed and painful even when gently tapped. This is because there are no trapped bacteria inside the hair follicle blockage. Generally, people will easily recognize a blackhead when they see one. Blackheads form when the opening of a hair follicle, also called pores, becomes clogged with dead skin cells and sebum. Each pore encapsulates a piece of hair and a gland. The gland, which is referred to as sebaceous gland, produces a protective substance that is oily. The substance is called sebum, and it aids in maintaining a soft skin. When a pore becomes plugged by sebum and dead skin cells, a comedo develops. If the pore where the comedo developed remains closed and covered by the skin, it will turn into a whitehead. But if the pore remains open, the bump will oxidize due to exposure to oxygen. The oxidation will cause the elevated surface to turn black and in some cases, dirty yellow. A lot of people also believe that certain foods and drinks can trigger acne. Sugary and greasy foods are said to cause acne. Another food that people think plays a major role in acne flare-ups is anything dairy. However, researchers couldn’t find a strong connection between the two so it remains a speculation. Exfoliating masks and scrubs (gentle ones) are great products that can effectively take away dead skin cells from the skin. By exfoliating regularly, you can prevent the formation of blackheads as well as whiteheads on the skin, especially on the face. Exfoliation also helps normalize skin texture. Skin products that contain heavy oils can block pores and eventually cause blackheads and worse, acne. Always choose products that are formulated with non-comedogenic ingredients. Avoid skin products, especially makeups, that contain heavy oils, cocoa butter, lanolin, algae extract, palmitates, almond oil, sodium chloride, etc. For the face, always choose lightweight and non-greasy products, especially if you have an oily face. Some ingredients may work well on the body but not on the skin. For example, Shea butter may work as an effective moisturizer for the body, however, the consistency is too thick for the facial skin to absorb. As much as possible, keep your hands away from your face. Only touch your face when it’s time to cleanse. Or if you can’t help it, always clean your hands first with an alcohol gel/hand sanitizer. A lot of people only cleanse with lukewarm water in the morning, and that makes sense. Since there’s not much dirt on the face upon waking up, warm water may work just fine. However, before going to bed, it is ideal to not only cleanse but double cleanse the face. Use an oil-based cleanser or a cleansing balm and follow it with a water-based cleanser so as to remove all the oil that built up during the day. This is important especially if you wear stubborn sunscreens or makeup in the morning. Use only gentle cleansers with a pH level of not over than 6, so as not to compromise the skin barrier. Avoid bar soaps as much as you can and use jelly or milk cleansers. Our hair has the tendency to become oily. The oils that our hair produces are also capable of clogging our pores. When we’re sleeping, our hair makes contact with our face without us realizing it. So it’s ideal to keep our hair clean and tie it into a loose ponytail when it’s bedtime. These therapies aim to treat deep-rooted acne without harming the uppermost layer of the skin. Light and laser therapies use beams of light that can kill bacteria and normalize sebum production. Trained and certified dermatologists and medical professionals are the ones who can successfully carry out this procedure without scarring. They use an instrument called a “round loop extractor” or what we would generally call a blackhead extractor. Chemical peels not only unclog pores, it also removes dead skin cells and enhances the overall appearance of the skin. After this procedure, your skin will peel off little by little, and you will notice your slowly improving in texture. 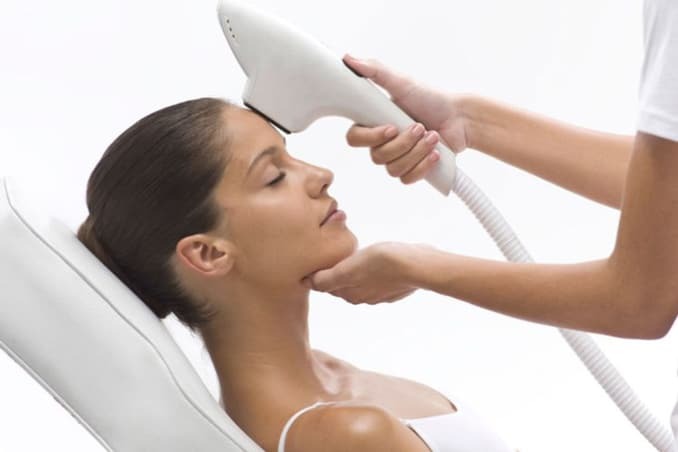 This treatment involves “sanding” your skin to remove dead skin cells and unclog pores. The dermatologist will use an instrument that has a rough surface, similar to that of a sandpaper. There are several acne medications that can be bought over the counter. They may be topical or oral products. However, it is never a good thing to self-medicate so as much as possible, always ask for a doctor’s advice before investing in an OTC product. If the OTC product didn’t work for you, your dermatologist may prescribe medications that contain vitamin A and other topical medications.